Thousands of hom﻿es in Seattle are eligible for the RainWise program! Is yours? 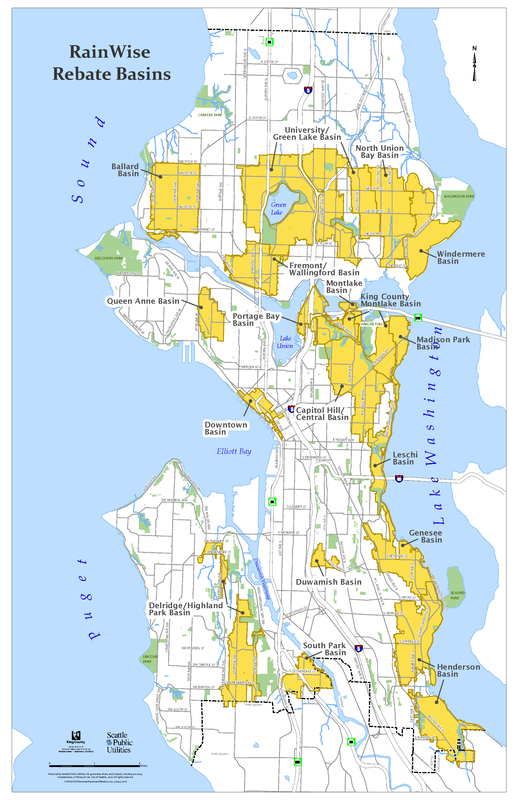 If you live in the highlighted areas of Seattle your home may qualify for the RainWise Program, which subsidizes the cost of a rain garden and/or cistern installation. We'd be happy to assist you in determining if your home is eligible, simply submit the form below and we'll let you know ASAP! SUBMIT THIS FORM AND WE'LL CONTACT YOU SHORTLY ABOUT YOUR HOME'S ELIGIBILITY FOR THE RAINWISE PROGRAM!